Today we are going to talk about a very famous person from Japanese history, namely Oda Nobunaga. He was a powerful Daimyo (大名) and warlord, who initiated the unification of Japan, a process that would be continued by Nobunaga’s successors Toyotomi Hideyoshi (豊臣 秀吉) and Tokugawa Ieyasu (徳川 家康). Nobunaga is also often portrayed in modern media as well. 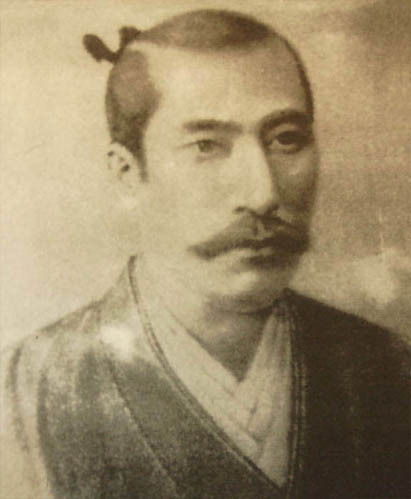 Oda Nobunaga was born in 1534, in the Owari Domain. As a young boy he was known for his bizarre behaviour, and he was called “the fool of Owari”. When firearms were introduced, Nobunaga quickly became fond of them. He was also known to play with other kids, no matter what rank they were from. He later accepted a position at the Imperial Court, and quickly climbed the ranks. As he gained more power in the Imperial Court, he started to look homewards, and decided to unify the Owari Clan. He started to ruthlessly get rid of any opposition to him as head of the clan, and not even his uncles were safe. In 1560, Imagawa Yoshimoto gathered an army of 25,000 men, together with the Matsudaira Clan, and started his march toward Kyoto, with the excuse of aiding the frail Ashikaga shogunate. Nobunaga, however, could only gather a force of about 3,000 men, and his allies and advisers would all advice against a frontal assault on Yoshimoto’s forces. However, as the larger force were celebrating earlier victories, and making camp, Nobunaga had his forces make a “fake” army out of straw some distance away from the enemy, and then sneaking around the main forces. As a thunderstorm broke out, Yoshimoto’s men took shelter, but Nobunaga took action, and set up his troops. When the storm passed, Nobunaga charged, and the battle of Okehazama was soon won. After the battle, the Imagawa Clan’s power weakened, and they lost their influence over the Matsudaira Clan. This led to Nobunaga forging an alliance with Matsudaira Motoyasu, who would later become Tokugawa Ieyasu. This battle is also where Nobunaga first noticed the talents of his servant and sandal-bearer Toyotomi Hideyoshi. In Mino, Saitō Yoshitatsu died suddenly of illness in 1561, and was succeeded by his son, Saitō Tatsuoki. Tatsuoki, was young and much less effective as a ruler and military strategist compared to his father and grandfather. Taking advantage of this, Nobunaga moved his base to Komaki Castle, and started his campaign in Mino. By convincing Saitō retainers to abandon their incompetent and foolish master, Nobunaga weakened the Saitō clan significantly, eventually mounting a final attack in 1567, capturing Inabayama Castle, and send Tatsuoki into exile. After taking possession of the castle, Nobunaga changed the name of both the castle and the surrounding town to Gifu. Remains of Nobunaga’s residence in Gifu can be found today in Gifu Park. Naming it after the legendary Mount Qi in China, on which the Zhou dynasty started, Nobunaga revealed his ambition to conquer the whole of Japan. He also started using a new personal seal that read Tenka Fubu (天下布武) which means “All the world by force of arms”. 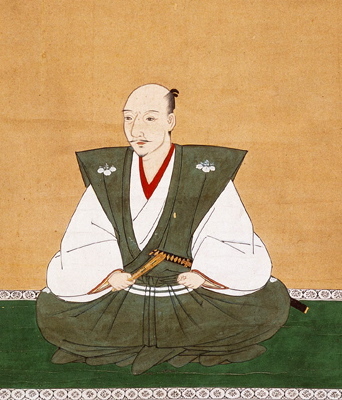 In 1564, Nobunaga had his sister marry Azai Nagamasa, a daimyo in northern Ōmi Province. This would later help pave the way to Kyoto. Nobunaga is remembered in Japan as one of the most brutal figures of the Sengoku period and was recognized as one of Japan’s greatest rulers. Nobunaga was the first of three unifiers during the Sengoku period, and was well on his way to the complete conquest and unification of Japan when Akechi Mitsuhide, one of his generals, forced Nobunaga into committing suicide in Honnō-ji in Kyoto. Akechi then proceeded to declare himself master over Nobunaga’s domains, but was quickly defeated by Toyotomi Hideyoshi. Nobunaga appears frequently within fiction and continues to be portrayed in many other anime, manga, video games, and cinematic films. Many depictions show him as villainous or even demonic in nature, though some portray him in a more positive light. He appears in movies such as Akira Kurosawa’s “Kagemusha”, and in the recent movie “Goemon”. He is also portrayed in a positive light in video games such as “Kessen III”, “Ninja Gaiden II”, and the “Warriors Orochi”-series. There is a whole series of games named after him, in “Nobunaga’s Ambition”, and he also appear in the “Shogun: Total War”-series, as well as in “Civilization V”. 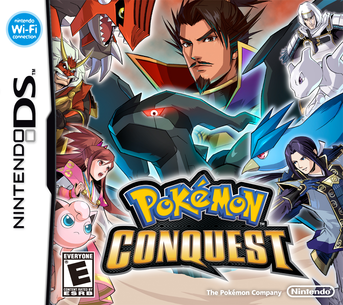 Nobunaga is also a playable character in the recent game “Pokémon Conquest”, who’s original title is “Pokémon + Nobunaga’s Ambition”, and therefore a cross-over between the “Nobunaga’s Ambition”-series, and the Pokémon universe. Nobunaga might not have been the friendliest man, but he started the idea of a unified Japan. And even if he never lived to see it to completion, his actions and reputation made sure that the two succeeding shogun’s continued his work, and gave him a place in Japanese history, and in the collective memory of the Japanese people. Now let’s play some Pokémon Conquest… I want to see how well well Nobunaga can use that Eevee, and beat the other poké-warlords!